Great review of another product from Maruti, whom I adore for what they have done to the VFM car segment in India. However, I am curious to understand the business strategy behind IGNIS. Was this supposed to be a replacement of Wagon-R? But then Maruti was not willing to let go of the old version and decided to run with both, by just pricing IGNIS much higher? Wouldn’t it make much more sense to stop Wagon-R altogether and sell IGNIS by pricing it “slightly” above Wagon R. I think this would have bought in the crazy numbers immaterial of which showroom they sold it from. Or is it just another confused product for their parallel universe called Nexa. Anyway, let’s stick to the fact that IGNIS is a premium hatch aimed at the “Millennials”, as mentioned at the launch. If that was the case then Maruti hasn’t gone the distance on this. A well designed plush interior would have made the difference and not just a better one when compared to other VFM products. You can’t call it a premium auto product and plonk an AMT in it. All said and done, it’s a small sized Maruti with prices south of a million and hence the lower to mid variants of IGNIS is bound to bring in some decent numbers. PS: Absolutely hate the term millennial, sounds more like the antagonists from Matrix series. Cars with such polarizing looks are hardly blockbusters in India; I think Maruti is not looking for numbers with this car, and that may explain the pricing (& why its in Nexa) - garner more profit per car rather than rely on numbers. For mass market they have the Baleno & Swift anyway, that are selling by the tons in the premium hatch segment. I get a feeling Maruti launched it for people looking for something 'different' from the Maruti stable; perhaps as a second car or a city runabout. Maruti should have offered a CVT instead of AMT though. Last edited by heavenlybull : 18th April 2017 at 18:34. - Maruti picked the Ignis to fill the void left by the Ritz. Not a bad move IMO. - As far as design is concerned, Maruti has clearly taken the retro-route. Design elements such as the headlights set within the grille and those Adidas-esq slashes on the C-Pillar indicate that the Ignis' design language is heavily inspired by the erstwhile Suzuki Whizzkid It's certainly an acquired taste. Oh, and build-quality and construction is typical Maruti, i.e. blegh. Wafer thin would be a compliment. - The interiors are just about alright. You can tell that Maruti has put in a certain amount of effort to cover up the 'cheapness'. Some of the bits are a little dodgy, but it's just about par for the course. It's not incredibly spacious and four 6-footers will begin to whine on longer drives. This is strictly a city car! - As far as engines go, my pick would be the 1.2 K12 petrol mill. It's such a sweet engine, whether you're puttering around town or wringing it by the scruff of its neck on your way to the office. It's very refined and loves to rev! 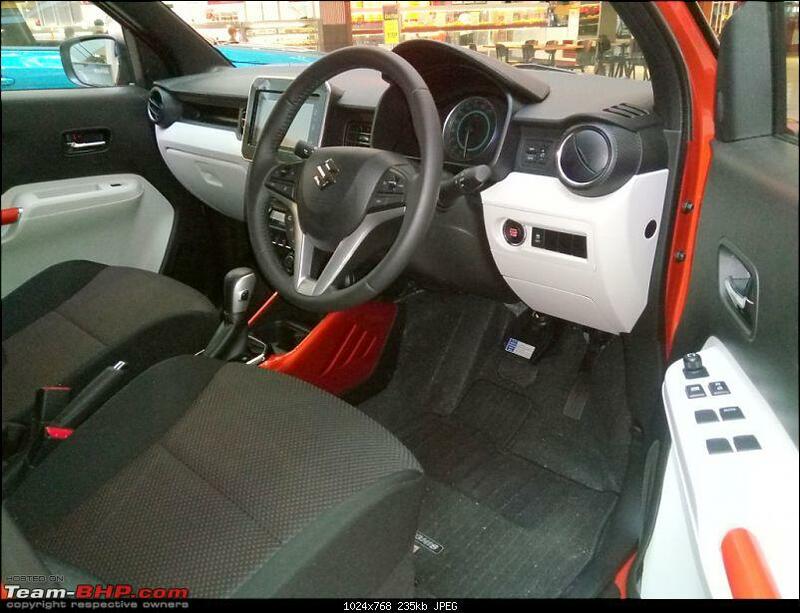 The manual gearbox is great to use and the AMT is a a huge improvement over the one in the Celerio (Could be down to the larger capacity 1.2 in the Ignis as opposed to the 1 liter in the Celerio) and it no longer jerks whilst creeping off the line or in the middle of a gear-change. The 1.3 diesel is the standard MJD unit and the ideal workhorse for high mileage driving. - No real USP: Asides the diesel + AMT (which isn't the best combination if I'm honest), there is nothing really that sets this car apart from the rest in the segment. It's ordinary. The stickers and vinyl options try hard to break it away from the mundane, I must admit. If Maruti really wanted to make a mark, they should have introduced the all-grip AWD technology that's available on the international Ignis. - The inclusion of Android Auto and Apple Car Play is a bit gimmicky IMO. It's just not as seamless to operate as I would have liked. 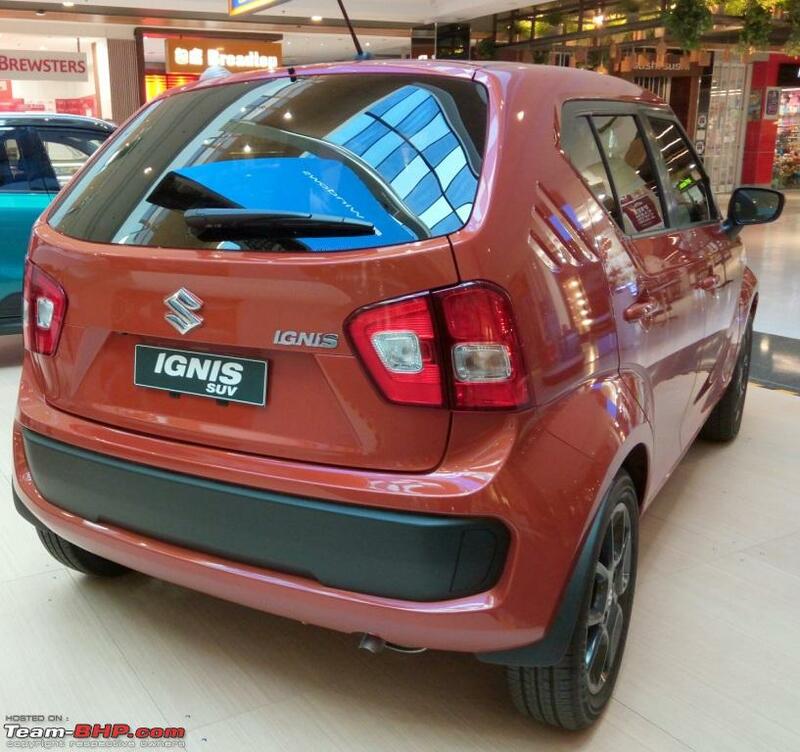 - The Ignis may be the 'Ritz replacement', but it's priced ambitiously at 9 lakhs on the road (top end diesel). A bit much for what it offers. Suzuki is actually calling it an SUV in Australia! The rear looks like a cross between a Fiat Uno on the top and Ritz at the bottom, and they somehow took that ugly side-molding from the Grand i10 too far to stretch-stick it on the bumper (all personal opinions, no offence). Last edited by Vikki@Hyderabad : 19th April 2017 at 03:36. 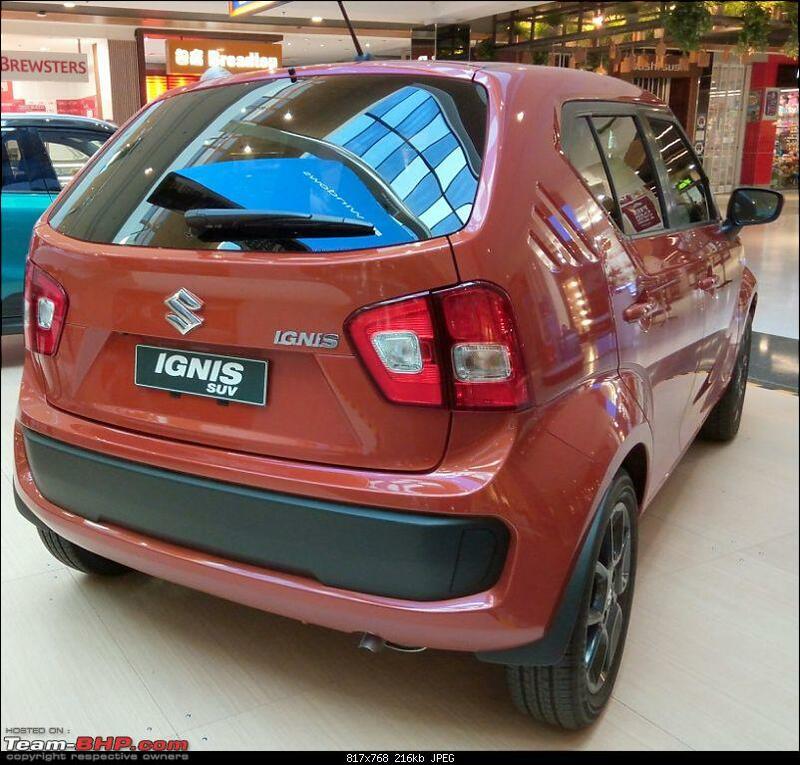 Ignis is expensive than Grand i10. Grand i10 is much more spacious than Ignis, FYI. Interiors? Plain vanilla one. Not funky at all. Fun to drive? Nowhere near Ignis. Is it funky-looking from outside? Not at all! Kappa 1.2 is reasonably good engine FYI. Hyundai cars have best interiors in their segment. Grand i10 is no different. Yes, Ignis is fun to drive, but "nowhere near to" is little exaggeration!! Grand i10 is a well proportioned car, looks elegant and does not look quirky from any angle! BTW, Add 35k to Ignis Alpha and you get Elite i20 Asta! Do I need say more? Is a well polished Swift/Polo with nice alloys head turning? YES. Is it funky? Hell, NO. Fourth, I don't necessarily agree that Ignis is a proper fun to drive car. FTD in what way? The steering, ride & handling pale when compared to it's own cousins. Completely agree! A well proportioned car always draws interest, and thats the reason it is called "Ageless design". Fun to drive: Rightly said - Except for the K-Series/DDIS engines, which other factor makes Ignis Fun to Drive I am really curious to understand! Even I didn't say that. Higher up in the age ladder, people tend to go with conventional looks. That's why I gave the example of the age group which may opt for i10 / Ignis. Not necessarily! You can spot lot many mid-aged people driving XUV (funky in its league), and many young chaps drive tastefully Polo TSi. The meaning of word "funky" in my understanding is "Modern and stylish in an unconventional or striking way". In that case, Swift is a funky car. Polo? No. Definition is correct, my friend. But look at other successful funky cars Beat and XUV. Their looks, shape, body crease/contours, Head/Tail lights etc have a certain appeal which is different than other vehicles of their class. Most of us would call them different, but not ugly. Compare that with another funky (ugly) attempt KUV. You know what I mean - In addition to other factors, looks does matter! Yes. 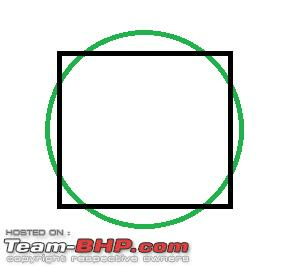 But when comparing with i10, and considering the chuck-ability of Ignis, you can sense what I mean. Not sure if you drove a mis-used i10. I have driven my brother's Grand i10 Petrol extensively, and I felt the car is very much Chuck-able in City, and performs well on Highways too. But yes, Kappa 1.2 it is not as frugal as the Suzuki K-Series 1.2. As I mentioned in my previous comment too, these are my personal view and opinion. Of course, I do not intend to hurt anyone's feelings. I walked into the Nexa showroom yesterday to look at the Ignis. As a strategy from Maruti Suzuki, though I don't recollect having read anywhere, I would treat the Ignis like a Nexa's WagonR / Celerio. 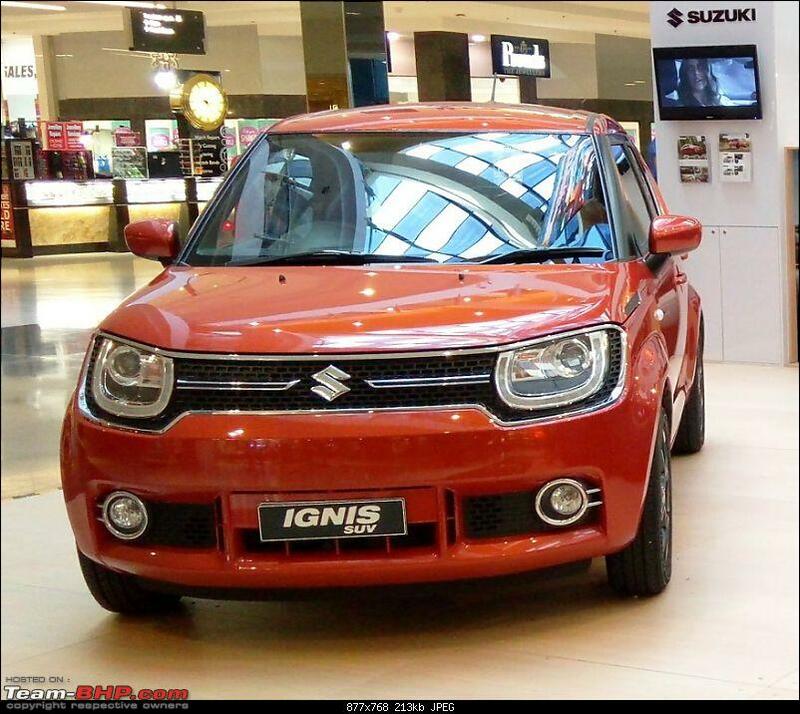 The Ignis comes with bigger engines than the WagonR / Celerio. So that's the premium offered among other features. Variant to variant if they could have priced it to hover about 45-70K above WagonR / Celerio, the deals would have been sweet! However, not offering a proper Automatic and just having an AMT might be another point that isn't working in favour of Ignis being a Nexa. Awesome detailed review from TBHP. Coming to the design of the car, the looks are polarizing for sure. I had the opportunity yesterday to spot a brand new Tiago, and a brand new Ignis side by side in front of my car. The Tiago looked better by miles if we talk about balance, and the Ignis, in flesh, looks smaller than it does in pictures. The flared wheel arches, which I am sure have been introduced to make the car look bigger, are non usable space which makes the car wider, and also makes it difficult for the average driver to negotiate tight situations without getting a paint transfer. The front looks good though with the the big headlamps and the DRLs. But look at other successful funky cars Beat and XUV. Their looks, shape, body crease/contours, Head/Tail lights etc have a certain appeal which is different than other vehicles of their class. Most of us would call them different, but not ugly. Compare that with another funky (ugly) attempt KUV. You know what I mean - In addition to other factors, looks does matter! I do not intend to hurt anyone's feelings. Great detailed review as a Team-BHP review should be! Rated 5 stars. As mentioned by many members above, Maruti has been a tad bit more adventurous in pricing the Ignis with top end Diesel dangerously close to 10 lacs figure. But being a Maruti, it will still sell. Standard twin airbags and ABS across the range is a welcome move. 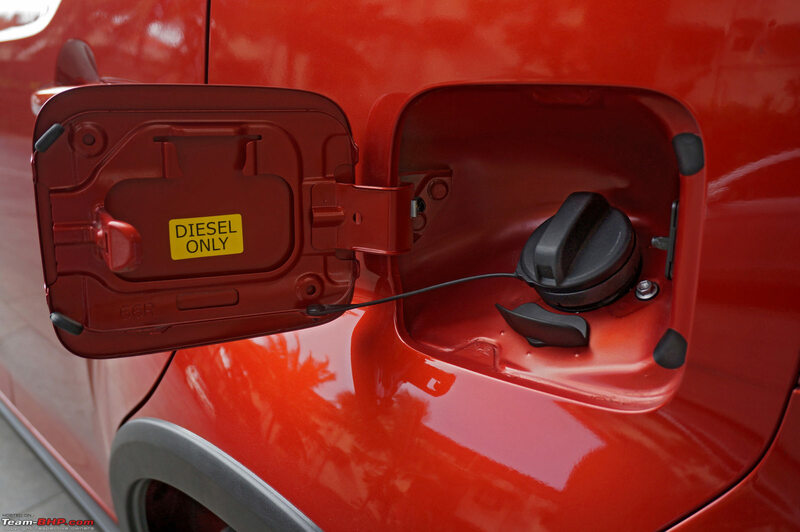 The diameter of the Diesel filler nozzle is bigger than the Petrol one hence there is no chance a Diesel nozzle will fit into the Petrol car's inlet. On the contrary, a petrol nozzle can easily go in the Diesel car's inlet. This is the reason we generally see warning stickers only on the Diesel cars fuel lid. Is this a recent development ? Are you sure ? My brother filled diesel in our petrol Ford Ikon about 6 years ago. Same question from me as well. Petrol bunk attendant filled diesel in my Uncle's petrol Baleno hatchback last year. Its a norm in most western countries and even at major bunks here in India too. I myself have seen it. Below are few links that help understand it better. 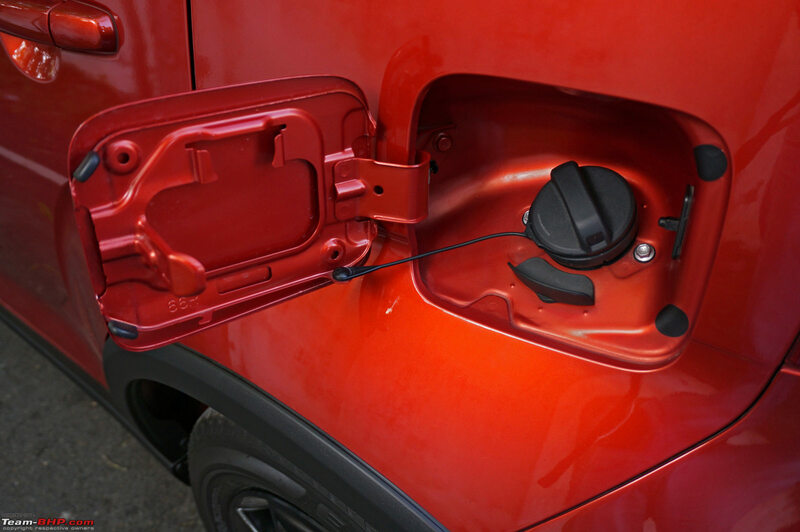 The shape of the nozzles should be different (one as square and other as circle as shown) between Petrol and Diesel fillers (the inlet also to be of the same shape) so that one will not be inserted into other's inlet - just like how the lock+key is working. Of very late, I came to understand that Petrol nozzle handle will be coloured (green, red etc) while diesel is black in colour. Can be used as a quick verification method.